Here is the final artwork for the Brooklyn poster - it is set up to be a 3 color screenprint. I think these are going to look great printed up full size! One thing that always come to mind when I think of brooklyn is all of the graffiti and the bombed delivery trucks driving around the borough. 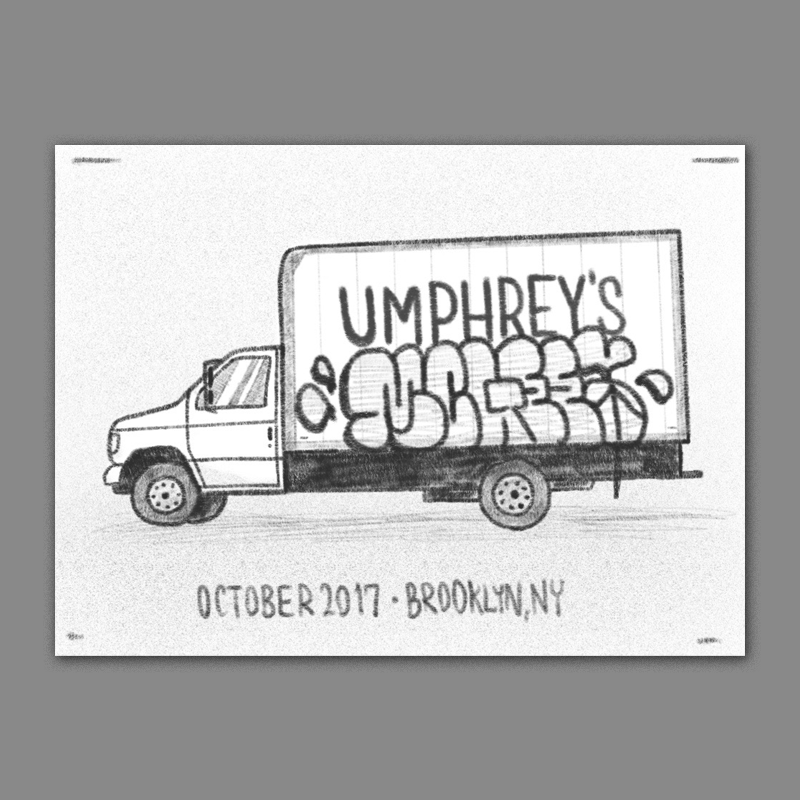 This would be a play on that - 'umphreys' would be drawn like its the logo or business name on the box truck, and 'mcgee' below in stylized graffiti bubble letters. I think this could work well just being the truck by itself, or it could be cool to introduce a little action and have a shadowy figure in the process of painting.